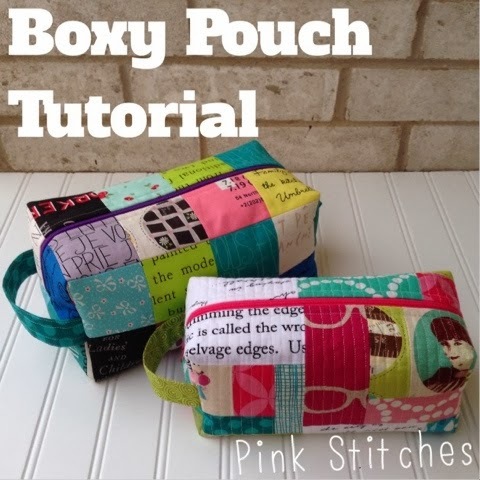 My quilt guildie Anna recently introduced me to the Modern Sewciety podcast, which I've taken to listening to during my daily work commute. In one episode (can't remember which one) Stephanie talks about how she keeps a sewing project wish list. It's good to know I'm not alone! I have so many projects I really want to make, so keeping a list helps me keep them loaded in the chamber. Since I just finished my Starfield Quilt, I have to pick some new projects to work on after I wrap up some swap projects and our Ren Fest costumes. 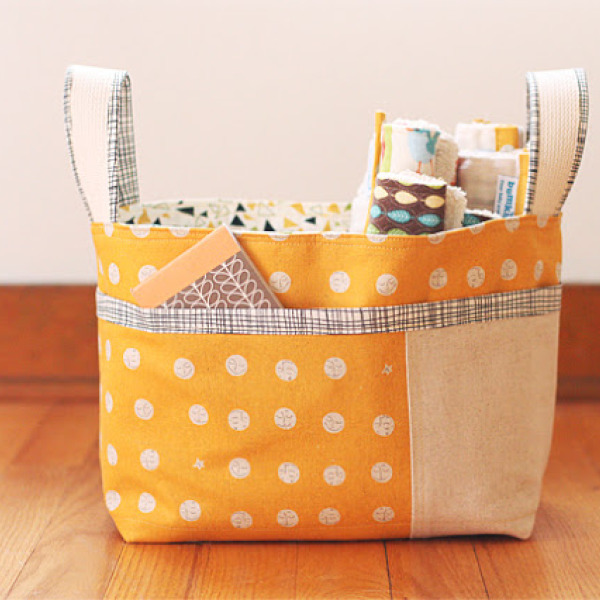 Here's my running sewing project wish list! I'm working on an EPP project right now that is getting progressively problematic to keep together. One of these desperately needs to happen so I can stop carrying it around in a tacky ziploc bag. While I was familiar with this fabric collection since its release, I only recently came to really appreciate its beauty. I used to avoid rainbow-y palettes because they felt too childish to me, but now I can't get enough of pale, pretty rainbows! This collection is so happy and it reminds me of my mother's teenage bedroom at my grandparent's house. I remember her vintage linens and I'm kicking myself now for not keeping them when we cleaned out my grandparent's house a couple years ago. 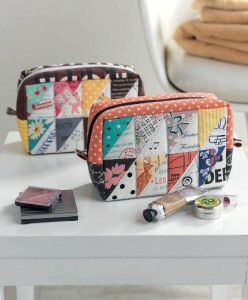 I really want to make a quilt with this collection because it does remind me of my mom so much. 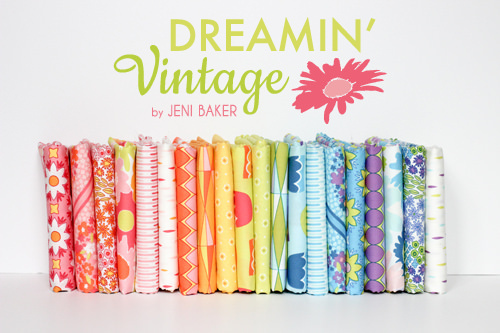 I have 10/20 fat quarters, but I planning on asking the fam for a FQ bundle of this collection for my birthday. My hubby is like the super critic of quilts, but he really loved this quilt from the moment I showed him Instagram pics of it at spring Quilt Market. 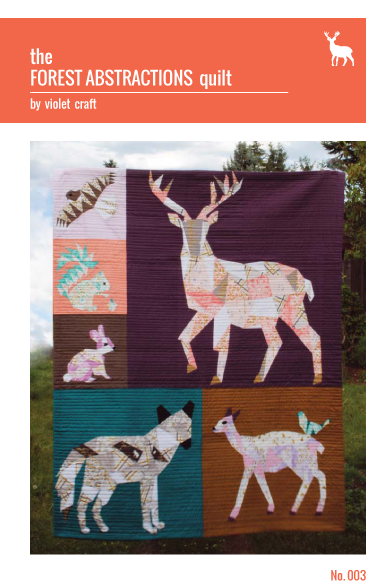 FPP is not something I'm super comfortable with yet, but I really want to make this quilt for him someday. Maybe for his birthday in February? We'll see! Since hubby and I are living with my parents while we save for a house of our own, we're basically living out of a single bedroom (and the guest bedroom I commandeered for my sewing room). That means clutter can build up fast, and both of us are easily stressed by messes. I need something like this to stick near my bed to keep small, portable sewing projects in. I already made one last night that I shared on Instagram, but I think more are in order! I'm tired of my dresser being buried in crap! I made a TON of these bags in college, but they were small sizes good for pencil bags and the like. 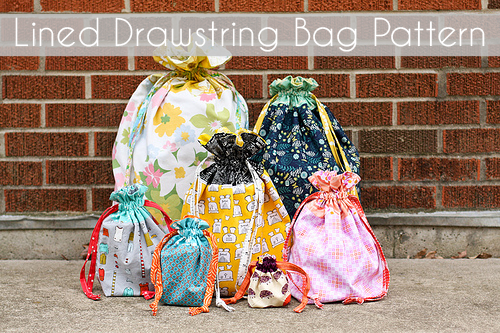 I need something larger to stash other WIPs in, so it would serve a similar purpose as the drawstring bag. It would be nice to have a more structured option too. My fellow quilt guildie and paper piecing princess, Julia, introduced me to EPP when she was working on this project at the July meeting. It's from Wild Olive, so you know it's just too stinking cute to resist! 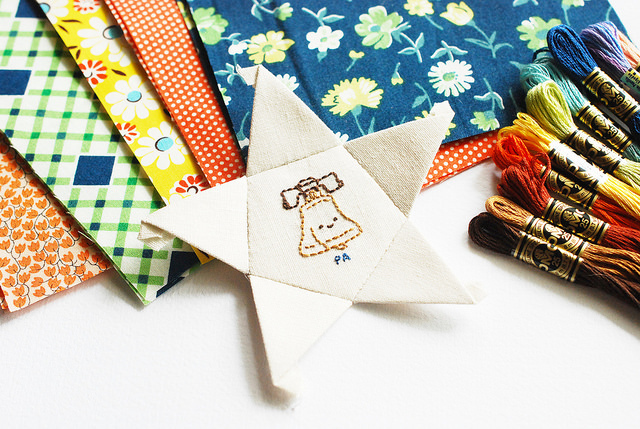 I love how it combines sweet embroidery and EPP. The thing that's holding me back is that the patterns are released on a weekly basis, meaning this project is at least a year-long commitment. Knowing my scatterbrained personality, there's a good chance I would forget or move along to another project without finishing this one if I had to wait a week for each new pattern. Hopefully once the year is over and all the patterns are over, there will be an option to purchase the entire pack in one fell swoop. 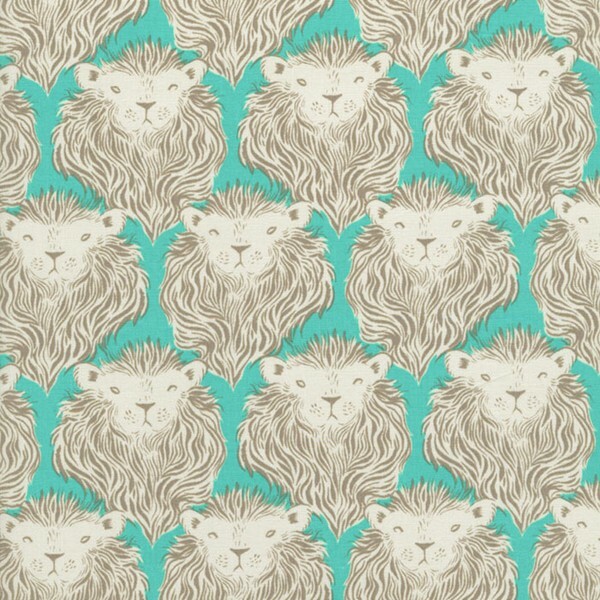 When I pre-ordered my August FQ bundle by Sarah Watts for Cotton and Steel, I also ordered 2.5 yards of the turquoise Monarch print with the intention of using it for a dress or top. I ordered 2.5 yards because that's how much I need to make dress E from the Stylish Dress Book #1, but now I'm not so sure I want to make that dress with this fabric. I'll have to look at my pattern collection and figure it out. 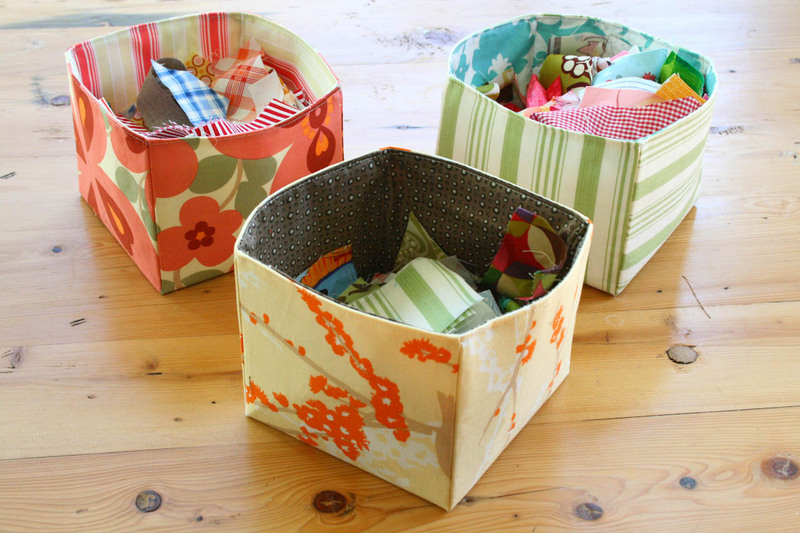 I generate (and use) a ton of tiny scraps, so I have a lot of open containers to toss them into near my sewing machine. I would like to make a few of these to help keep my messes under control. How about you guys? What projects are on your list?